One of the amazing things about historical research is that it can get personal. That’s personal as in meeting people and not just learning facts and figures. Another amazing thing is how one bit of research can branch off and head in another totally unintended yet fulfilling direction. Take the Root family of Hatton, Michigan. 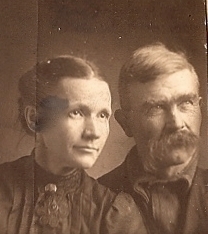 T hey were the subject of a blog post a couple of weeks ago that sought to connect the now dead Clare County town of Hatton and two Root children buried in the township cemetery. The two died several years apart before the turn of the 20th century during a time when Hatton itself was dying. The town died because the lumber industry that had sparked its birth and life was over and most of the town’s 200 residents had moved on, including Chancey and Charity Root, parents of the two deceased children. I visited the kids’ graves earlier this year and became curious why the parents were not buried near their children in the family plot. A huge stone with the word “Root” carved on it seemed to indicate would be the final resting place of the entire Root family. 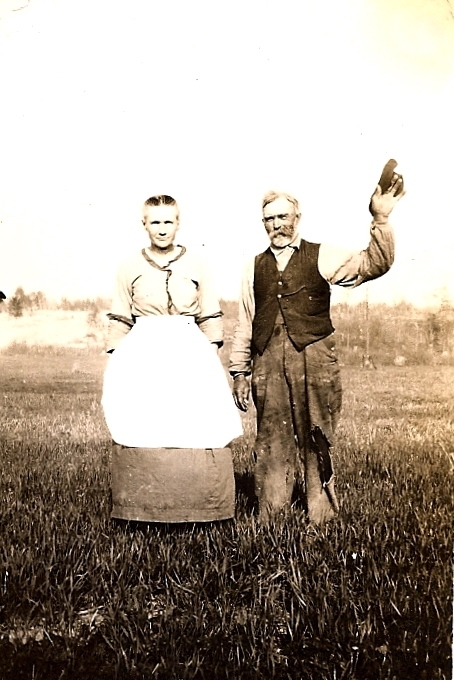 In the course of my research, I contacted Virginia Braun, my mother-in-law and a gifted genealogist to see if she could tell me what happened to the two elder Roots. She immediately wrote back recommending I visit “Find A Grave (findagrave.com). It was there she had found the Roots’ finally resting place in a cemetery in nearby Gladwin County. Even better, she found photos and a family contact. From a few of the photos I saw, Chancey looked happy or at least (as in the photo at left) had a gleam in his eye. None of the photos shows his wife smiling. Not sure why. For sure, a woman’s life had to be hard, especially she was generally tasked with all the housechores, and they had to be many given she was raising and cooking for what might have been a family of 12. Adding to her sadness was the fact that at least two of their children died at young ages. 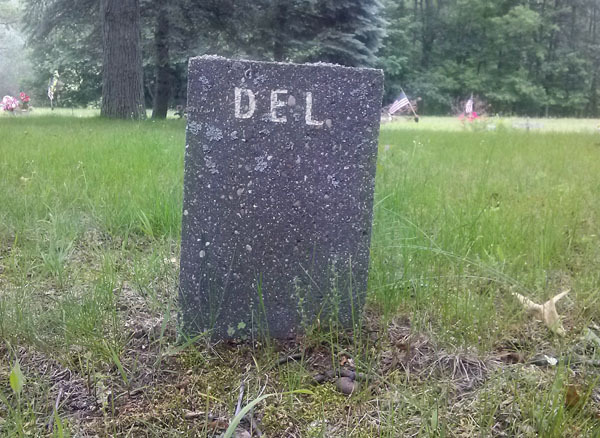 During our emails back and forth, Ken did ask something of me: He wanted to know if I could find out any information on a Delbert Root and whether a tombstone in the Hatton cemetery inscribed with the letters DEL might be the gravestone of Delbert. She added that she did not find a Social Security death record for Delbert. “Looks like he didn’t marry and no one filed for his death benefit,” she wrote. So it’s possible he died young. Because the stone in the photo is not in the Root family plot, I doubt the grave belonged to Delbert Root, but until evidence is found elsewhere, it’s difficult to say where Delbert is and who DEL was. As for Chancey and Charity, may they rest in peace. Delbert? The search continues. And who knows who might help me this time around and where that help may come from? marriage. He passed in 1961 leaving my mother with 3 small children to support. I was already married. She had a hard time.but remarried so she had help raising them. My stepfather was a gem. The two photographs at the top were from Charity Root’s album, which I copied over 3 years ago and added to Ancestry, Find-a-grave, and sent to various individuals. It seems at that time, I was very alone in doing my research because there weren’t as many people involved or interested. I’m so happy to see that they are being loved and enjoyed by so many others! It may be of interest to all of you that Chancy’s & Charity’s grandmothers were both descendants of Susanna Martin, who was a victim of the Salem Witch Trial hangings.